In South Africa he is known as Madiba, to the rest of the world he is known as the greatest activist, peace-maker, and statesman. 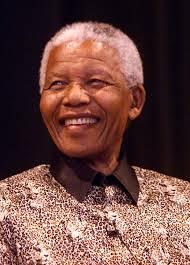 Yesterday, July 18th, 2009, Nelson Mandela turned 91. I wanted to pay tribute to a man who had sacrificed 27 years of his life in prison so that other people could enjoy the taste of freedom. When Oprah interviewed him, she wrote “For 27 years the architects of South African apartheid jailed his body–but they couldn’t touch his soul.” He was sentenced for fighing segregation in South Africa, and later became President of South Africa. But I think he will be known most for emerging from prision not a bitter man, but one that defined peace and dignity. 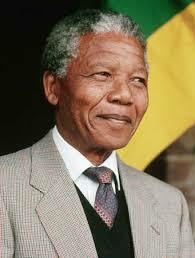 Happy Birthday to the man who took a stand for freedom, and didn’t let the indignities he suffered into his soul. This entry was posted on July 19, 2009 at 1:59 pm and is filed under Uncategorized. You can follow any responses to this entry through the RSS 2.0 feed. You can leave a response, or trackback from your own site.